The 2019 F1 season once again contains 21 races and runs from March and for the first time finishes in December. Here’s our guide to the who, what and where for this year, which we’ll update as more information comes out from the teams and F1. This season features the same 10 teams as last year, with the team formerly known as Force India starting their 1st full season under their new Racing Point name, along with Sauber’s rebranding to Alfa Romeo Racing and 3 drivers are set to make their F1 racing debuts in 2019 (Lando Norris, George Russell & Alexander Albon) with 3 other drivers returning to the grid after various amounts of time away (Robert Kubica, Antonio Giovinazzi & Daniil Kvyat) and with Charles Leclerc, Carlos Sainz, Daniel Ricciardo, Kimi Raikkonen, Lance Stroll & Pierre Gasly moving teams that means that only Mercedes & Haas will retain the same lineups as 2018. For the 2nd year in a row we’ve got 21 races to look forward to this season. 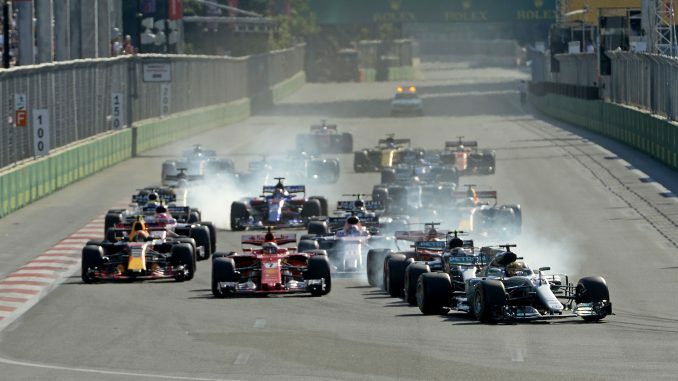 But unlike 2018 there isn’t another triple-header as FOM have now said that the 3 week back to back to back run was a “one-off” so as not to clash with the Football World Cup. There are 5 sets of back to back races this year France/Austria, Germany/Hungary, Belgium/Italy, Singapore/Russia & Mexico/USA and the summer break will be for most of August between Hungary and Belgium. The 1000th Grand Prix is scheduled for this season at the 3rd race of the year in China. Another noticeable change will be the tyres; instead of the 5 dry compound colours, we will just see 3 all season. While Pirelli have created a variety of compounds with differing hardness and durability, we’ll only see white for the hardest tyre of the weekend, yellow for the medium and red for the softest available. From this season, the driver’s weight will not be taken into account when weighing the car and instead drivers will have to weigh a minimum of 80kg (176.4lbs) otherwise ballast will be added to the seat area of the car to make up the weight.